I review comics on Twitter at twitter.com/johnsimcoe. Here are the January through June 2009 reviews! Hulk Nos. 7-9 (Nov 08-Jan 09): Enjoyable stuff, but its split-book style fails to give enough story for either part. AMAZING artists! Hulk No. 10 (Apr 09): Hulk “reforms” Defenders in a classic set up — Elder of the Universe vs. Elder of the Universe. Modern take though. Werewolves on the Moon No. 1 of 3 (2009): Juvenile, but quite funny, take on a werewolf invasion of the moon. Enjoyed the art & jokes. Solomon Kane No. 1 (Sept. 08): Great art, but I’m really unclear on the concept of what the backstory is supposed to be. Wanna fill me in? Fire & Brimstone No. 2 (Aug 08): Disjointed 2nd issue because I barely remember the first. Had titillating art and good dialogue though. Electric Girl Vol. 2 (2003): Not terribly compelling indie book. I keep hoping for some subtlety and subtext in the stories, but find none. Masters of the Universe: Dark Reflections (2004): He-Man’s pal gets sucked into a reversed universe. OK for light fantasy it is. Colorful. Aquaman No. 1-2 (2003): The debut of the water-hand era. Not bad, but I have no interest in Atlantean politics. Just fight seamonsters, man! Aquaman No. 11 (Dec. 03): A near-finale issue to the first year of this series. Intrigued by the Thirst, the villain, and the Fountainhead. Aquaman Nos. 32 to 36 (2005-06): Sub Diego era by Arcudi that I found to be remarkably enjoyable. 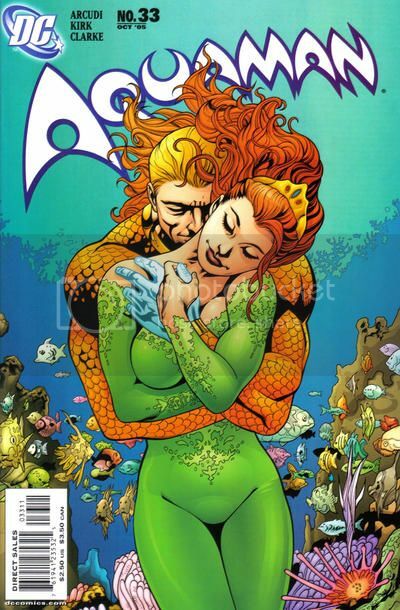 Aquaman is heroic without being a jerk. Cowboys & Aliens (2006): Mediocre graphic novel dragged even farther down with sloppy storytelling. Why not include more Western staples? Team America No. 1 (June 82): Biggest surprise in this? I thought it was made in the 1970s. Strange how this even ever got published. Hand of the Morningstar Vol. 1: I’m not sure what to make of this. Seems like it should have had a more explosive reveal at the end. Avengers The Initiative 19-24 (2008-9): Covers Secret Invasion and aftermath. I’ve really grown to like the ensemble cast in this book. The Astonishing X-Men Vol. 2: Dangerous (2004): Whedon proves he’s a characterization master in the first pages. Liked, but didn’t love. Secret Invasion No. 8 of 8: Man, am I shocked how crummy this was. I would have preferred a weekly title that gave me the whole story. Marvel TV: Galactus: The Real Story (2009): I think this was supposed to come off as being funny and ‘a hoot,’ but it was actually lame. Starlord No. 1 of 4 (2007): Starlord is recruited by the Kree, and gets an odd bunch to help. Sure, it had its moments, but not fantastic. The Mighty Thor No. 353 (Mar 84): Odin sacrifices himself to defeat Surtur in portion of Simonson run. Not enamoured with the art anymore. Son of Samson and the Maiden of Thunder (2008): Branan meets up with his sister. Great moments as the two lug a huge statue around town. Mars No. 9 (Sept. 84): Strange “First Comics” comic I picked up. Interesting ideas here, but not-so-good art. Recently collected by IDW. Essex County Vol. 2: Ghost Stories (2007): Wow. If you haven’t read this, you’re missing out on one of the best GNs in many, many years. Amelia Rules! The Whole World’s Crazy (2006): First vol. of Harrisburg-based creator of kids comicz. Good stuff, especially the Xmas story. Son of Samson and the Daughter of Dagon (2007): GN series is easily one of my favorite reads in quite a while. A++ adventure story. 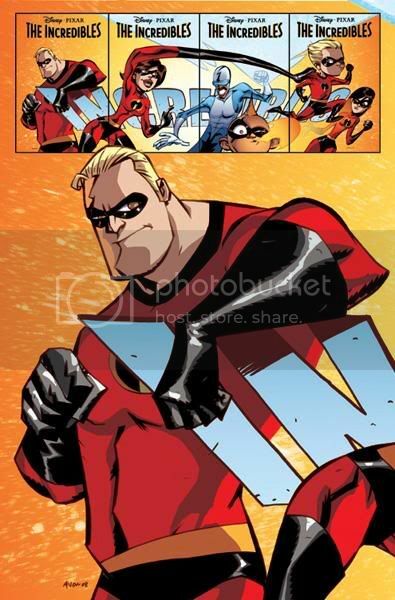 The Incredibles No. 1 of 4 (2009): Nice art, OK story. Definitely for kids, though a little slow at times for younger readers. Ugly cover. 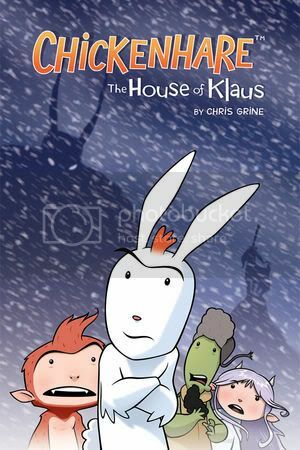 Chickenhare: The House of Klaus (2006): Gee, I thought this would be funny. Even Stan Sakai said it was. I only laughed once. That’s comedy? The Lindbergh Child (2008): Rick Geary puts the Crime of the Century into comic form. Always fascinated with this tale. Geary does it right. Teen Titans 66-67 (2009): Another new incarnation of the Titans? Geez. Still, I liked it enough to keep reading. I love team-building! Teen Titans No. 68 (April 2009): Kid Eternity and Red Devil zip down to Hell. Neat ideas for the netherworld, not too interesting otherwise. Teen TItans No. 69 (May 09): New team forms. Only interested in BB, WG and MM though. The rest? I suppose they’re cannon fodder. Jigsaw No. 1 (Sept. 1966): Superhero comic about a semi-stretchy guy. Reminds me of E-Man. Certainly showed promise, but over by issue 2. Jigsaw No. 2 (Dec. 1966): The last issue of an intriguing series. Man, this is a hero who hated himself. Could have proved interesting. Punisher War Journal No. 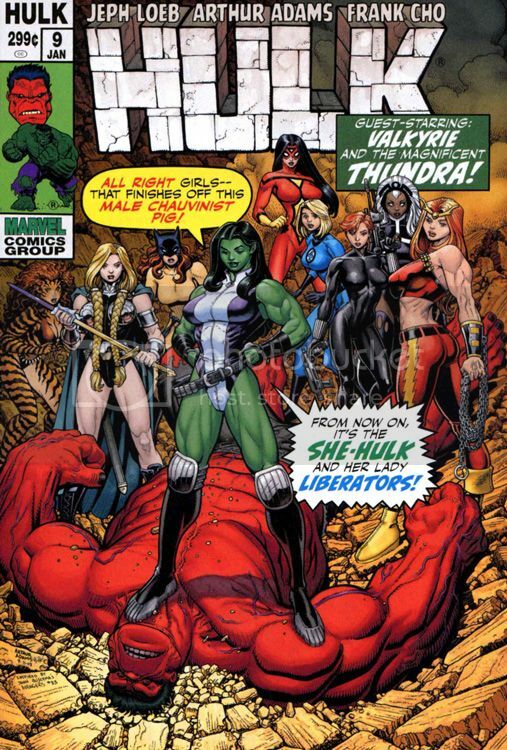 25 (Jan 09): Mild “Secret Invasion” x-over, but includes development for major villain in the future. A+ as always. Take a Chance No.1 (2008): Splurge purchase. Very retro-1990s art. Who’da thought we could say that? Promising concept though. G.I. Joe No. 1 (Jan 09): The rebirth of the Joe team starts out interestingly enough. Art is very run-of-the-mill though. G.I. Joe Origins No. 1 (2009): Nice stuff, but not great. Price too high for too little story. Interesting take on Snake Eyes joining squad. G.I. Joe No. 3 (March 09): More seemingly endless boredom as the Joes fight robots. Without bad guys, G.I. Joe is pretty dull. Batman Confidential No. 13-16 (2008): Wow. Great story that keeps continuity. Rags Morales offered some wonderful art in Bats vs. Wrath. Spooks: Omega Team No. 4 (Dec 08): Finale to Lilith arc. Lots of action, lots of supernatural stuff. I totally dig this combo! Land of Oz: The Manga — Return to Emerald City No. 1 (Nov. 08): Great book with stunning art. Couldn’t ask for better family fare. Green Arrow & Black Canary Nos. 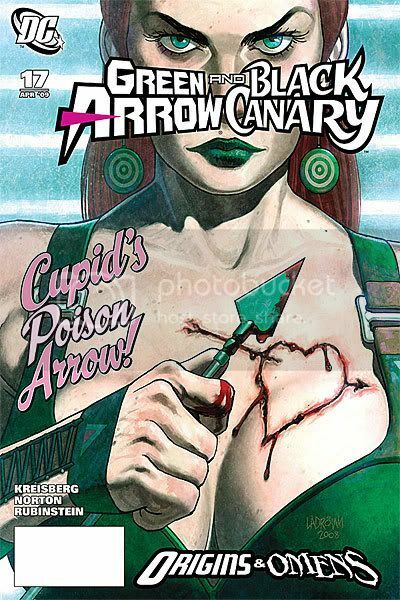 18-19 (2009): Wrapping up Cupid’s debut. Ultimately only interesting because of a few villain deaths. Blue Beetle 36 (2009): Final issue, and they promised a death. Problem: It’s a “so what?” death. Despite that, it recovered well. Booster Gold No. 15 (Feb. 09): Booster gets tangled up with Elongated Man. Forces the typical “Should I tell him about the future” angst. Booster Gold No. 16 (Mar 09): Booster is flung into World War I for a meetup with Enemy Ace. Interesting plot so far. Jurgens’ art is nice. Booster Gold No. 20 (July 09): Giffen takes Booster for a trip to the 1950s. OK and all, but I want action versus costumed villains. El Diablo No. 5 (of 6): This book is solid all the way. Rare guest appearance of Freedom Fighters and funny insult against Phantom Lady. Billy Batson and the Magic of Shazam! No. 3 (Feb 09): Long wait for this ish, and I’m still on the fence about it. Great art, retread story. Supergirl Nos. 37-38 (2009): Exploring the Superwoman mystery, we get several possible suspects. Pretty good stuff in general. Great covers. Flash Rebirth No. 1 (June 09): I could care less which Flash is in the suit, but it seems I am supposed to care. OK, but I’ll tradewait. Marvel Team-Up No. 57 (May 77): Very run-a-the-mill filler issue that promos another comic. Still it was an all-fight issue! Weird cover. Spectacular Spider-Man Annual No. 7 (1987): Puma crashes the Parker honeymoon. Proof once again that the Puma is an awesome character. Tony Millionaire’s Sock Monkey Vol. 4 No. 2 (Aug 03): First one of these I ever read, and can’t say it interests me much. Too pointless. Outsiders No. 34 (May 06): The team fights injustice in Africa. Social commentary just doesn’t work well in this instance.